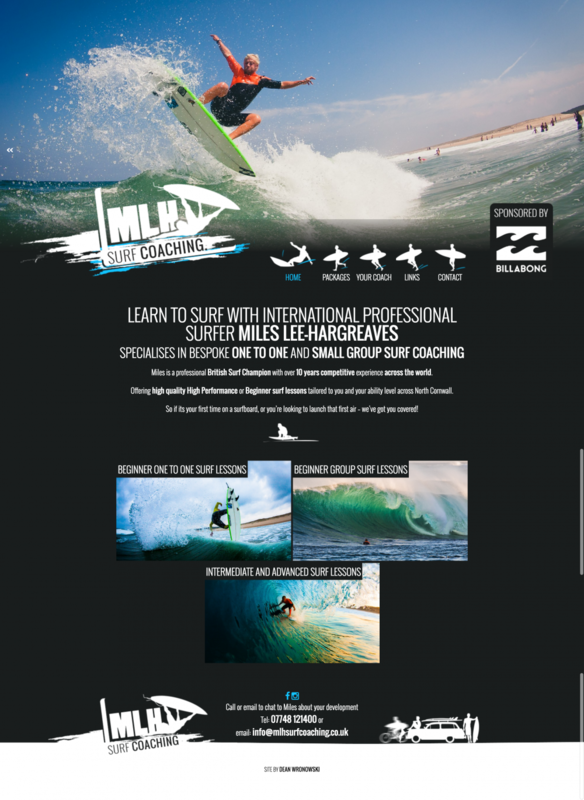 Miles Lee-Hargreaves is an international established surfer (sponsored by Billabong) who wanted to setup as a mobile instructor for extreme surf coaching in and around the Bude, Cornwall area. I wanted to push the brand in a direction that made the potential customers feel the surf lessons would be fun and most importantly would be more of a learning curve than your typical surf instructor. The brief for the site was simple; it should shout internationally experienced surfer, providing high quality surf coaching and a brand you can trust. I designed the website to have interactive blue coloured elements that were minimal and flat, this creates a modern design that reflects the clean feel of the whole site. The final result was something that reflects a fun and internationally experienced surf instructor that loves his job but at the same time is professional. Fun project to be had!